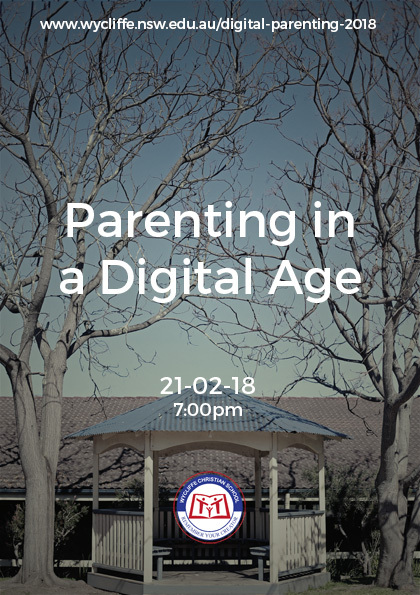 Guest speaker Chris Parker will be facilitating a discussion on parenting in a Digital Age, where children are connected to so much digital distraction and alternative views of the world and life. This seminar is designed to help parents/caregivers become equipped to navigate children in their care through the opportunities and threats that a digitally connected life brings. This free seminar is intended for parents/caregivers of children who have personal access to a device, in particular those in years 7-12.